The first book I ever read, from cover to cover, was H. G. Well’s War of the Worlds. From that moment on, I was hooked. It is dangerous to compose a list of favorites for science fiction because sci-fi readers are the most opinionated and passionate of enthsiasts. I’ve seen near-death blows exchanged as people argue over the right genre category for something. “It’s dystopia, you idiot,” he replied. These divisions can be as angry and emotional as theological debates between Calvinists and Arminians. I’ve never seen Sherlock Holmes fans go after Harry Potter fans fans like that. Complicating it even more, most people have their favorite work or writer to whom they are loyal. Stalwarts will point to Jules Verne and H.G. Wells and say that after them, everyone else is just a copycat. People who love Frank Herbert’s Dune will never back down from the opinion that it is the greatest science fiction ever, just as those who think that Authur C. Clarke’s 2001: A Space Odyssey is the best ever will never admit anything other than that could possibly be worthy of honor. Into this contentious field, I now submit my three favorite science fiction books. 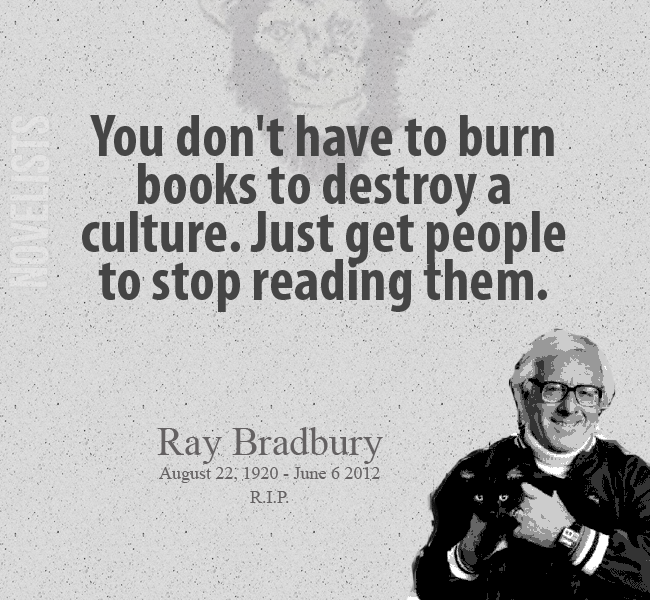 Fahrenheit 451 is not the most enjoyable Ray Bradbury book for me. That distinction goes to The Martian Chronicles. I really enjoy The Martian Chronicles, they are fun and playful. However, Fahrenheit 451 is rated above it because deep in my gut I appreciate the societal commentary and meaning of it. Fahrenheit 451 is therefore a better book than The Martian Chronicles and bumps it up on my favorites list. I love this book for three reasons. The first reason is that it seriously deals with the tension, in metaphor and in plot, between science and faith. The second reason is that as a historian, the book credibly and I might add, persuasively, creates a historical timeline of societal progress. The third reason is that the name of the kingdom that emerges from post-atomic war America is called Texarkana. As an East Texas boy, all I can say is that is very cool. Okay, I’m cheating here. Nightfall is not a book. It is a short story that Asimov wrote in 1941. Fifty years later it was turned into a novel, but I’m not interested in that. The short story Nightfall is perhaps the most fully developed and well-told short ever. In that single work we can find all of the themes that later will find their way into Asimov’s Robots and Foundation novels–the tension between science, belief, and the dysfunction of human society. Nightfall is sometimes referred to as the greatest science fiction story every written. I do believe that given the body of work, Asimov stands head and shoulder as the greatest science fiction writer ever. As you can probably tell, I have a specific taste for science fiction of the mid-20th century. There was something about the intensity of the writing during that time period that was fresh, innovative, and if I may be so bold, prophetic. It was as if these writers, with one foot in the pre-technological world before mass communication and atomic weapons and one foot in it, are giving scalding commentary on the modern life we now live. We can’t see ourselves today as clearly as they saw us 60 years ago. So these are my top three science fiction books (well, two books and one short story) and I would love to know what yours are. One of my favorite authors now is Connie Willis. All the books of hers that I have read have dealt with time travel, and they are all in the same fictional world. My favorite of hers is “To Say Nothing of the Dog” in which our intrepid time explorers visit Victorian England. It is also a very funny book. I really enjoyed Lewis Padgett (that’s a pen-name, for a husband/wife duo, I think). I don’t know the name of the book, which is a collection on inter-related stories, but it is about a scientist who is only brilliant when he is drunk. The stories are all about him sobering up and his attempts to get out of the horrible mess he invented the night before. In the first story he builds a narcissistic robot with a transparent shell that stands in the front of the mirror and makes rude remarks about the scientist. Finally, I have only read half of the Foundation “trilogy” but that will have to be my third choice. I do love that story, “Nightfall” by Asimov. For creepiness, “The Unpleasant Profession of Jonathan Hoag” by Robert Heinlein is excellent, though again a short story. a rude robot? that sounds fun and just snarky enough for me. i have not read that and must look into it. I enjoyed The Doomsday Book, but I think that’s the only book of Willis’ that I’ve read. I’ll have to explore her work further. In high school and while in the Navy, I read pretty much every science fiction story I could get my hands on. But that was a long time ago and I remember little of most of them. The one I remember most were the series from Doc E. E. Smith; the Skylark series and the Lensmen series. I would say that the 4 Skylark books are probably my favorite all time, not because they are well written or have a well developed plot, but because they are a cherished part of my childhood, and because they enable my imagination to run wild. I also enjoy the Dune books, both the old and the new. And since there is over a dozen of them, and they are not short, I can get lost in them for a long time. Ender’s game was also fascinating. The follow on books were OK,but not as good as the first. that is so right ed–it is that part of our childhood that sparks imagination that causes us to love it. that is exactly the feeling i have for war of the worlds–it is my childhood. i reread it again as an adult and was really nonplussed by it, but as a kid, wow! i think that scifi is for the little kid in all of us, even when it is some pretty grown up stuff. This is so hard! I’m assuming you want to confine this question to science fiction? That does make it a bit easier for me, because I read fantasy more often than sci fi. That said . . . I agree with you on Fahrenheit 451. Bradbury was a brilliant, prescient man. I adore that book and what it says about our society. So here’s where it gets tricky, though, because what do you mean by science fiction? Do you think 1984 counts? It’s definitely speculative, but I’m not sure it’s science fiction. It’s more dystopian fantasy. That rules it out. Neuromancer, by William Gibson, is an excellent read. The Foundation Trilogy, by Asimov, is good, but I’m not sure it’s among my favorites. I love I, Robot, but I wouldn’t reach for it if I had nothing to do. Ender’s Game? Good, but more of a space fantasy. Dune–ugh! I hated Dune. Herbert was so heavy-handed with his opinions on climate that it got ridiculous. I also read an excellent science fiction series years ago by Nancy Kress. 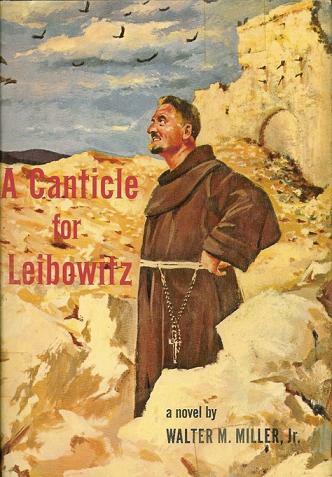 The first book was Beggars in Spain, but I don’t recall the other ones in the trilogy. It was based on the idea that you could genetically engineer out the need for sleep. Kind of a parents’ dream, so to speak. 🙂 Earth, by David Brin, is excellent, but it’s NOT an easy read. You see the dilemma, eh? *sigh* All right, I guess I have to pick. I’ll confine myself strictly to obvious science fiction. Are you going to do a post on fantasy, or should I agonize over those choices on this post? Now I shall walk away muttering about how difficult this was . . .
i love the idea of you reading the blog, commenting and then walking away muttering to yourself. that is almost always the way iw alk away from the computer. as to genre, don’t fret, i have a listing of fantasy books, although you might not like my picks. i don’t worry so much about genre labeling so much because so many of them are blurry. you bring up 1984, that is a great case in point. is it sci fi? is it fantasy? yes and no to each. more than anything it is political drama, though. i’ve read a slough of star wars novels in the expanded universe and most purists would argue they are not science fiction but instead science fantasy–but tell me how and why that distinction should be made? most monster stories are scifi, too but they don’t usually get counted as scifi (except maybe frankenstein). just list things as you like them, but back to the point, i have a fantasy post coming. probably monday, but that might get bumped because i’ve got something else i’ll need to blog about soon. i love your list because you’ve got bradbury and asimov on it, and we agree on f451. to be honest, i think almost any asimov work could represent him on the list, so, yeah, i can go with i, robot too. now i’ll close this up and walk away muttering to myself . . .
One author I also greatly admire is Gregory Benford and, in particular, his Galactic Centre Saga. For scope, it’s immense. And then there’s Jules Verne any day. Another one I admire, though I’ve only read one of his novels, Terminal World, is Alistair Reynolds. That book really impressed me. i am glad that you agree with me on asimov. i love that he writes sci-fi, but i think he’d be just as interesting if he wrote murder mysteries or political intrigue. i’m glad he didn’t write those things, but it is his writing style that i like so much. he manages to hold me as a reader without constant action–the dialogue and conversation work as action. i’ve not read those black widower stories. i’ll look into those. thanks for the input, and the sharing of ideas. I’m not convinced some of his stuff isn’t murder mystery at the least. And Foundation is almost political intrigue (or is that ‘robot intrigue’) on a grand scale. There are a few Black Widower stories sprinkled through some of his shorts collections, but they have their own compilations. Expensive if you plan to buy, but some should be available on a library circuit. Agreed about his writing style. Very laid back and yet captivating. wow–robot intrigue. i think you may have just invented a new genre that must be explored. i love it! you weren’t lying about the cost. those are some expensive short stories. however, if i know asimov, they are likely worth every penny.